Ellie Ballantyne, youngest child of Silas and Eden, has left finishing school. But back at her family home in Pittsburgh, Ellie finds that her parents are away on a long trip and her siblings don't seem to want her to stay. When she opens a day school for young ladies, she begins tutoring the incorrigible daughter of the enemy Turlock clan. The Turlocks are slaveholders and whiskey magnates, envious of the powerful Ballantynes and suspicious of their abolitionist leanings. As Ellie becomes increasingly tangled with the Turlocks, she finds herself falling in love with an impossible future--and Jack Turlock, a young man striving to free himself from his family's violent legacy. How can she betray her family and side with the enemy? And will Jack ever allow her into his world? 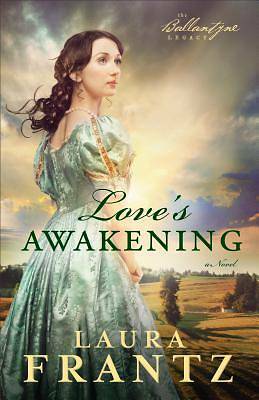 Masterful storyteller Laura Frantz continues to unfold the stirring saga of the Ballantyne family in this majestic tale of love, loyalty, and the makings of a legacy. With rich descriptions of the people who settled and civilized a wild landscape, Frantz weaves a tapestry of characters and places that stick with the reader long after they turn the last page.